Having conversations which make us feel uncomfortable is a necessary part of effective line management. The truth is that few people relish such talks but good managers don’t let their fear get the better of them. We all dread them – those conversations with colleagues which send our emotional side into overdrive. How should I frame it? What if I upset them? Will they hate me? Thankfully, with a little insight, they needn’t be too difficult. The key to such scenarios is to remove the emotion. We often feel like talking when our emotions are high. We may want a quick resolution to an important issue or we may want to vent frustration and anger. Whatever it is, injecting too much emotion into sensitive conversations is rarely helpful. By taking time to pause, reflect, and process new information we are better equipped to engage in constructive conversation with colleagues. Having gained perspective, ask yourself a number of questions in order to provide perspective and a way forward. After all, it could be that you decide that no conversation is required. Do you have all the facts you need? Are you clear on your objective? Have you taken your biases out of your thinking? What is the likely outcome of a conversation? We are all human and, as an effective manager, you need to be sure that your motives are clear and not stirred by emotion. Also, remember that conversations are two-way – so if you are simply wanting to instruct a colleague and ‘have your say’ then you should take a step back. However, be careful not to avoid such conversations simply because it feels uncomfortable. You may avoid such difficulties in the short-term but their could be damage to both your team’s effectiveness and your standing for the long-term. 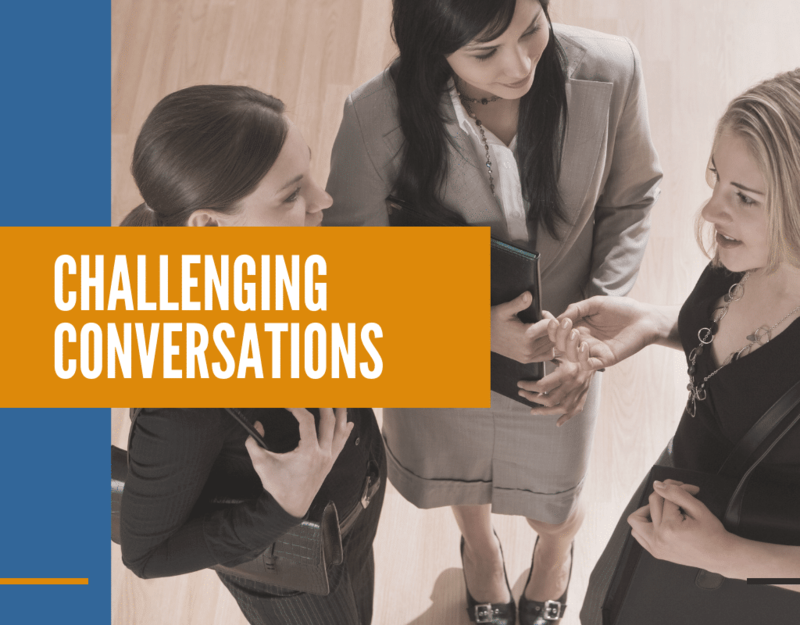 In short, choose when to hold challenging conversations carefully. Ensure that you take time to prepare your questioning and be honest with yourself about why you’re really seeking to hold conversations with your colleague. Looking to improve your line management skills? Try our inhouse management training programs from £998. We deliver inhouse management training, at your offices, for new and experienced managers. If you have a team which would benefit from in-company training at your offices, our expert trainers come to you and deliver a training day with your team.